When headline news broke of the “brain-immune system missing link” in the form of a peer-reviewed letter in the journal Nature last month, the first stop for many with MS was to check to see if the promising stories were true. Not only were the reports of a newly-discovered lymphatic system connection in the brain true, they had been foretold (in theory) several years prior. But what does this discovery really mean for people with MS (and other neurological conditions)? First, here is a link to some good reporting on the discovery. The paper itself can be a bit dry and scientific. Now, what does it mean for people living with multiple sclerosis? Frankly — for now, at least — nothing much. But there could be something there for us. A little bit of background on what the lymphatic system is/does: It’s basically our street-sweeper system. Antigens (harmful substances that cause your immune system to react) from some area of damage or disease in the body get picked up by white blood cells, or macrophages (our little guy with a broom), at the site of injury. These macrophages, along with their collected debris, travel through the lymphatic system to the lymph nodes that drain that region of the body. The lymphatic system is a system of vessels, not unlike blood vessels, but they don’t transport blood. Instead, they bring interstitial fluid (the fluid found between cells) and macrophages from the tissues to the lymph nodes, which are distributed in clusters throughout the body. The lymph nodes are where infections are fought (think of how your doctor checks for swollen lymph nodes in your neck, armpits, and elsewhere when you have signs of infection) and antigen debris is destroyed and eliminated. Once the fluid (referred to as “lymph”) is cleaned up, it is moved from the lymph nodes back into the blood circulation. 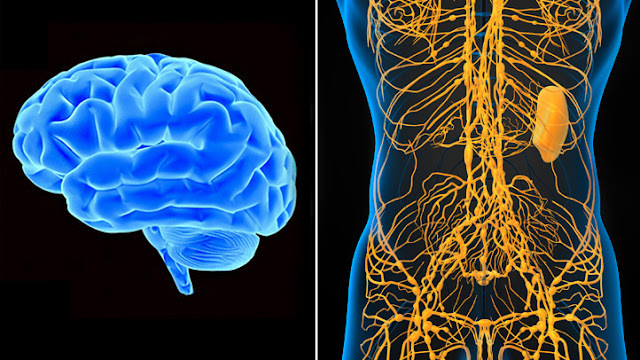 It was long thought that the central nervous system did not have a lymphatic system. How, then, would macrophages get antigens from the brain to their local lymph node? How would white blood cells making their way through the brain get back into circulation? These questions were the source of great conjecture for some scientists, but they rest in the back of the mind (no pun intended) for most practicing neuroscientists. So the discovery has been made and confirmed: Our brain has a lymphatic system. Now, what will this do for people with MS? The answer is, unfortunately, unclear. Like many others in the MS (and other neurological disease) world, I was and am excited by this new discovery. If something as major as an entire body system has gone undetected for so long, what else might researchers find? As to it being the key that unlocks the answers to ours and so many other diseases, I’m not expecting the promises of exaggerated headlines to be fulfilled. But every piece of the puzzle gives us a clearer picture of the disease and thus, a better chance at winning the fight.